Touted as “Seattle’s Favorite Energy Bars,” Simbree’s products have a lot to live up to. Thus far, I had been pleased with their Energy Bites and Grain & Nut Granola, so I was fairly optimistic that the bars would prove tasty. In fact, two of the bars, the Maple Walnut and the Oat Almond Pistash, contain the exact same ingredients, in the same order, as the Bites by the same name. You may be wondering, ‘why bother with a second review?’ I had asked myself the same question once I realized the similarities. Yet oddly enough, I did notice a slight difference. Also, I had one additional bar flavor, their new Cashew Coconut (which is also available in Bites). The Maple Walnut Bar was my biggest oddity. 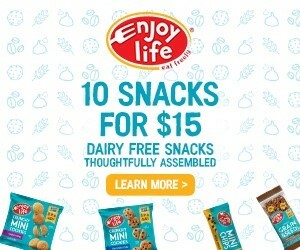 While the ingredients and nutrition facts are identical to the Maple Walnut Bites, I did notice some differences in the taste and texture. Like the Bites, the Maple Walnut bar was dense with bits of walnuts and oats, adding a good deal of texture to the background. 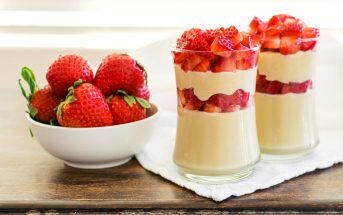 However, while the Bites could easily be described as dense and grainy, the bar seemed to be much softer and more pliable. As for taste, the bites were evidently maple, but the bar had a very strong honey flavor that seemed to overpower any maple flavoring. I alternated between the bites and the bar to be certain I wasn’t mistaken, but alas, they were different. It could have merely been a difference in batches, but based on my trials, I would definitely go for the bites over the bar. Though the nutritional profile, ingredients, and texture were awesome, I just didn’t like the strength of the honey in the bar. 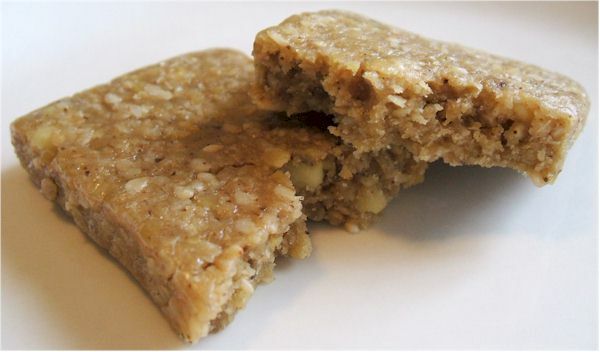 Unlike the Maple Walnut, the Oat Almond Pistash bar remained fairly true to its Bite siblings. It was the thickest of the three bars, exuding cohesiveness and refusing to crumble. Yet it was very soft to bite into and broke apart quite easily. I enjoyed the texture, which seemed to be filled with as many coarsely ground nuts and seeds as oats. It was cool that you could actually see big pistachio chunks throughout. Like the Bites, I noted a slight peanut butter like flavor that seemed to meld with the honey sweetener. While I liked the minor bursts of honey, I was even happier that the overall bar wasn’t too sweet. Even though honey ranked second on the ingredient statement, it served more as an enhancement than a focal point when compared with the Maple Walnut bar. As with the Bites, the Oat Almond Pistash wins my vote over the Maple Walnut. It was a tasty and hearty bar that I would consider purchasing again in the future. With a double dose (bites and bars) of the two flavors above engrained in my taste bud memory, I was eager to trial their new flavor, Cashew Coconut. The texture was soft and chewy, a solid cross between the Maple Walnut and the Pistash. Yet, as I took my first bite, I immediately noticed that this bar offered a bit more intrigue than the other two. Bits of oats, cashews, and coconut were generously scattered throughout in what tasted to be fairly equal amounts. The obviously grainy texture was complimented by a unified blend of flavors. 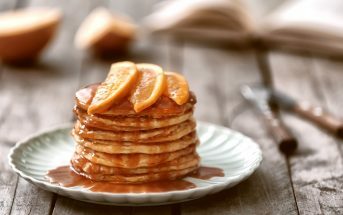 Like the Pistash, the honey was more subdued in this flavor, serving its purpose as a sweetener, but not overpowering the more delicate flavors of the core ingredients. 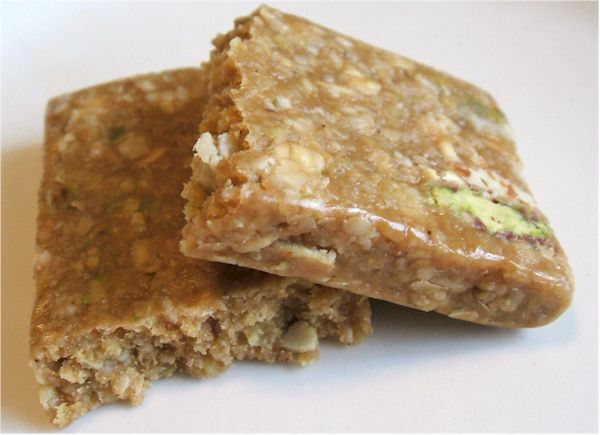 Overall, this was a mild yet flavorful energy snack that proved to be my personal favorite of the Simbree Bars & Bites. I wouldn’t hesitate to seek out the Cashew Coconut Bar in stores. I was quite surprised by the density of these little bars. Though they appear on the smallish side, each is so packed with nuts, grains, and sugars that they pack in a competitive amount of calories for an energy bar. Depending on the flavor, one bar contains 170 to 180 calories; pretty much right in the middle of the pack. 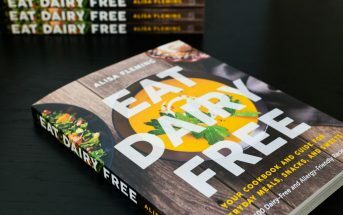 As with the bites, the bars contain a healthy dose of fats, proteins, fiber, without going over the top in the sugar or sodium department. 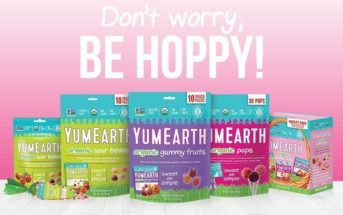 Close to vegan (they do contain honey) they are also cholesterol free. 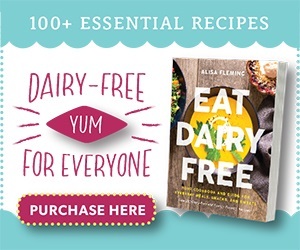 Each of the bars contains non-GMO ground soybeans along with organic rolled oats, wild blackberry honey, organic oat bran, brown sugar, and an assortment of nuts and seeds. Although Simbree products are wheat and dairy free, they are manufactured in a facility where wheat and dairy products are also manufactured. 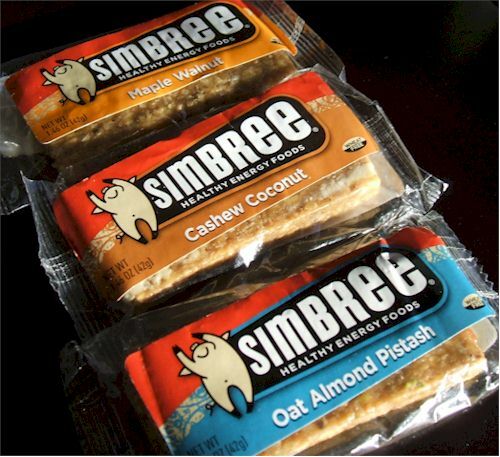 Where to Purchase: Simbree snacks can be purchased directly from Simbree in their online store. In store, Simbree products are working their way from West to East within the U.S. and it looks as though they have Canadian ambitions. See their website for a store locator map.